“In a way one could argue that Lebanon is an Ibsen play in its own right,” is the opening line of this project description. Two generations of artists will explore Ibsen through two different productions. The dual project reflects upon the Lebanese tradition of formalistic theatre as well as providing an artistic platform for the history of Ibsen in the Arab world. Through this project Ibsen’s plays will travel to various community centres of marginalized groups in Palestinian camps, poverty stricken areas as well as prisons and other underprivileged groups. The project has both strong artistic and political dimensions, and will result in creating new audiences for Ibsen in the Lebanese society. Lebanon is a young country debilitated by chronic internal and external conflicts visibly marked by corruption as well as social, economic, political and religious struggles. Struggling to come to terms with the wound of its history, past and present, Lebanon remains at the cutting edge of culture and a trend-setter in all aspects of life in the Middle East. “Orient the Day. Ibsen travels to Lebanon. Two Generations Travel in Ibsen” seek to use the momentum feminist and anti-sectarian movements in todays Lebanon in order to pose new questions to the liberal elite through creating two Ibsen productions. The two productions will be staged by two different generations of artists. 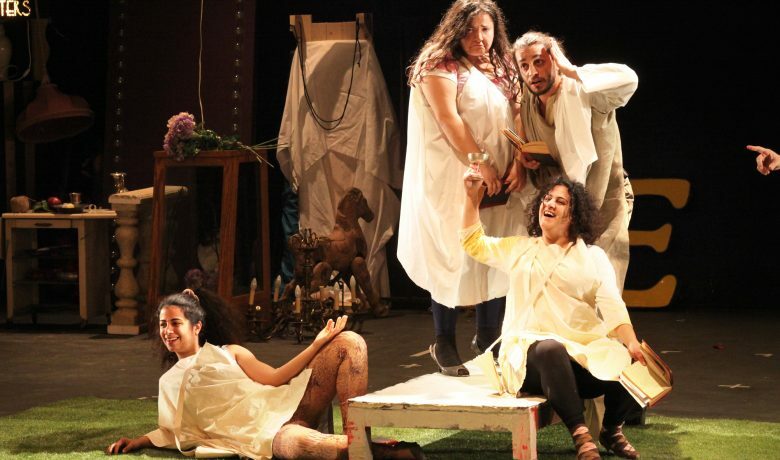 The contrast between the more classical and the more avant-garde theatres in Beirut will open up the range of possibilities found in Ibsen’s texts. 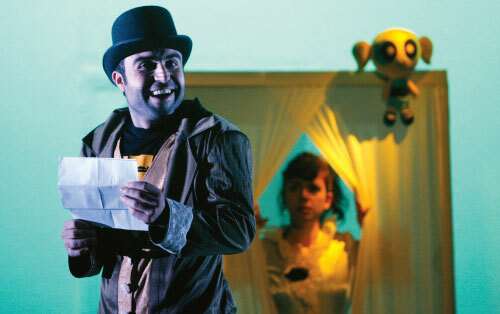 The long term vision is to put together a festival that introduces the Lebanese audience to a range of Ibsen performances by inviting theatre companies from places like Egypt, Turkey and Iran to perform in Beirut in 2013. 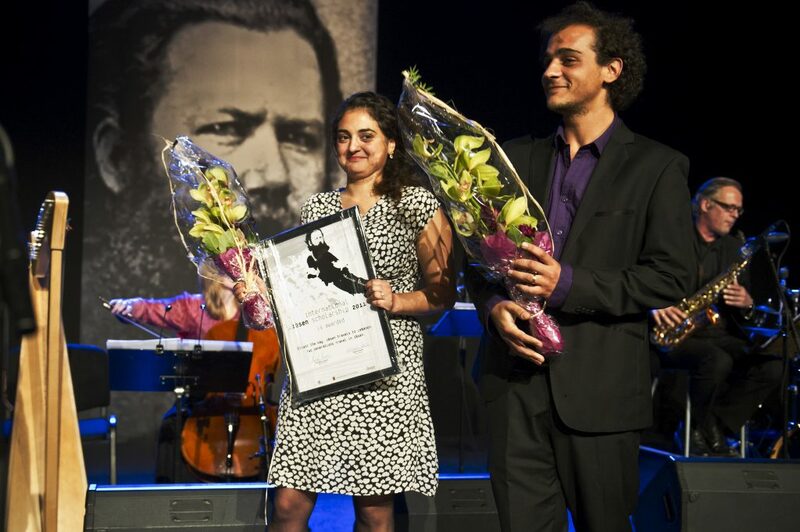 The festival will encourage critical debate through academic seminars and lecture, series of workshops discussing artistic practices related to the work of Ibsen and the contemporary theatre scene in addition to the showing of the theatre productions. 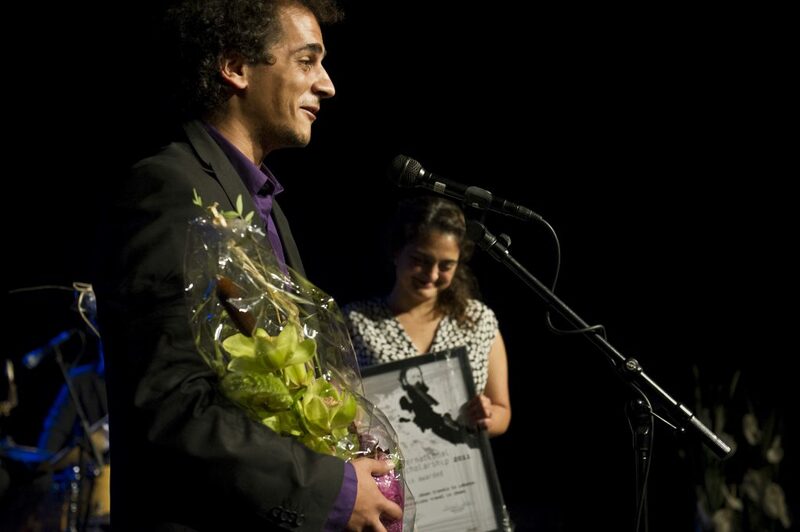 The producers and initiators of this project and the vision for the festival in 2013 are Ahmad Ghossein (film-maker), Rana Issa (phd student at University of Oslo) and Helle Siljeholm (Choregrapher, producer and dancer). Zuokak Theatre Company is a young emerging artist collective that enjoys critical acclaim for their experimental work. A democratic paradigm is their main theatrical structure. They believe in a collective mode of working and a shared belief in artistic practice as a political and social involvement and action. 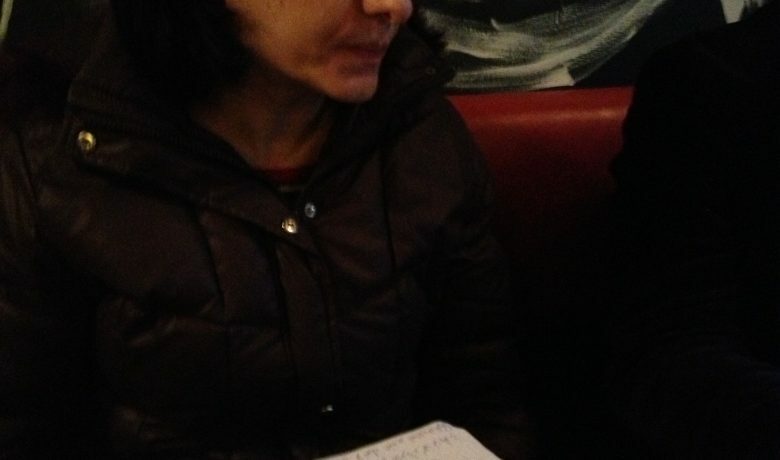 Aida Sabra is a theatre director, performer and professor. She is an experienced and well established female theatre director and an acknowledged performer in Lebanon based in Beirut. Read performance review on Delete and Lucena. Obedience training. A theatre performance by Zoukak Theatre Company. Based on Emperor and Galilean, by Henrik Ibsen. ACT ONE of the "Orient the Day" program opened with director Aida Sabra's dialogue with Ibsen's A Doll's House. 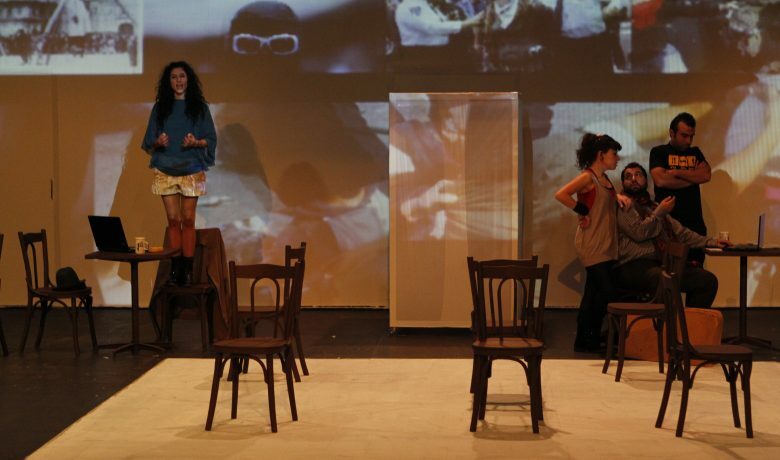 The performance DELETE opened at Monnot Theatre in Beirut on January 3rd 2013. 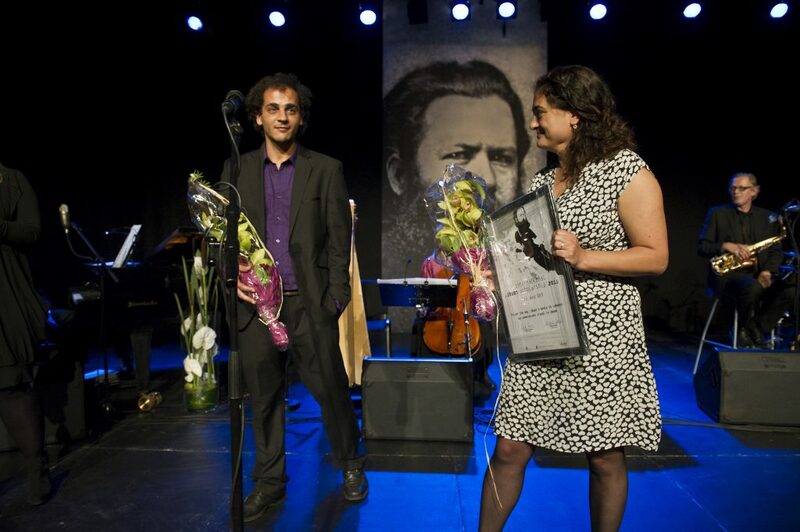 Rana Issa and Omar Abi Azar at the award ceremony. Photo Dag Jenssen. 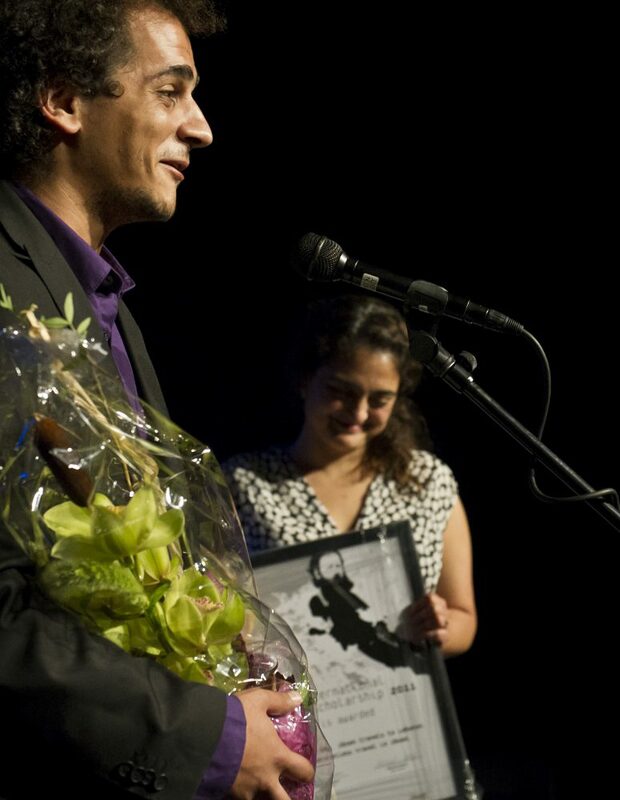 Rana Issa And Omar Abi Azar at the award ceremony. Photo by Dag Jenssen.